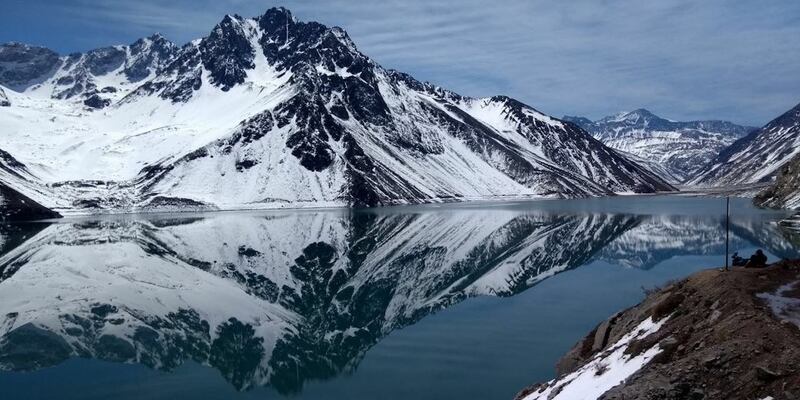 Cajón del Maipo is 1 hour away from Santiago, located southeast of the metropolitan region, Chile. At the end of 1700, the village of San Jose del Maipo was founded, with the purpose of giving support to the mining works, in the copper and gypsum extraction. At the beginning of the 20th century, a narrow gauge railroad was built to carry passengers and cargo. In this same time a hospital is installed in San Jose del Maipo specialized in tuberculosis, since the climate is very dry and the air cleaner than in the city, the patients felt that they were improving, however at that time Tuberculosis it was an incurable and deadly disease. During the twentieth century, the Cajon del Maipo takes national priority, installing and building the first hydroelectric power station in the country, in the area of ​​the maitenes. In the 50s and 60s, Baños Morales takes great importance for its hot springs. People traveled by Train and Horses to bathe in these hot springs. In the 80s, the Cajón del Maipo began to stand out in tourism, for rafting, an activity that became fashionable at that time. In 2015, the Cajón del Maipo is back in the limelight, as the Alto Maipo project, which is a bypass hydroelectric power station, is announced. In the present, the Cajon del Maipo has taken important tourist relevance, since the Yeso Reservoir is a fashionable destination and on the rise.